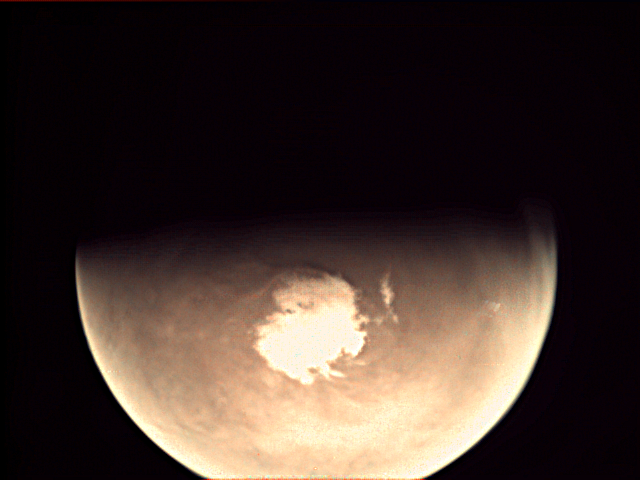 Editor’s note: This is a cross-post from ESA’s Mars Webcam/VMC blog; the original was published earlier today by Daniel Scuka. Effective immediately, all Mars Express Visual Monitoring Camera images – past, present and future – are released by ESA under a CC licence. More info on this ‘ordinary camera in an extraordinary place’ is available at ESA’s Mars Webcam Blog, the Flickr gallery is available here. The Visual Monitoring Camera (VMC) is mounted on Mars Express, ESA’s deep-space probe now orbiting the Red Planet. It originally provided simple, low-tech photos of the Beagle lander separation, and is now back in action as the ‘Mars Webcam’. It’s not a scientific instrument, but it does provide fantastic images of Mars – including crescent views of the planet not obtainable from Earth.